Dog Days of Summer Call for Lazy Day Meals! I don't mean to whine, but boy has it been hot. It's all I can do to muster the energy to whip up a pitcher of ice water, let alone a dinner. Do you relate? If so, let's talk "lazy day meals," because these dog days of summer are calling for them! Before getting to the specifics, let's look at appetite. 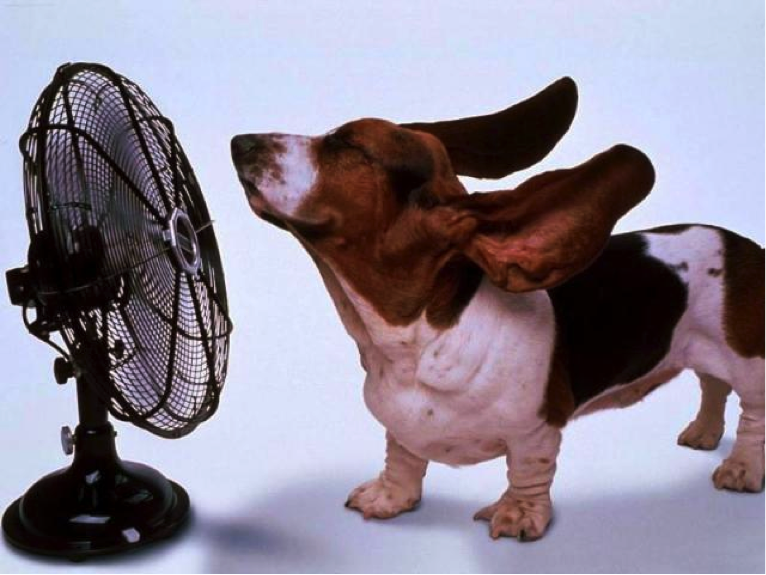 Have you noticed that when it's hot, your appetite isn't as great? And at our house, not only has the appetite lessened, our preferences turn to lighter foods-salads, fruit, drinks. The idea of any kind of casserole, for instance, just turns us off. 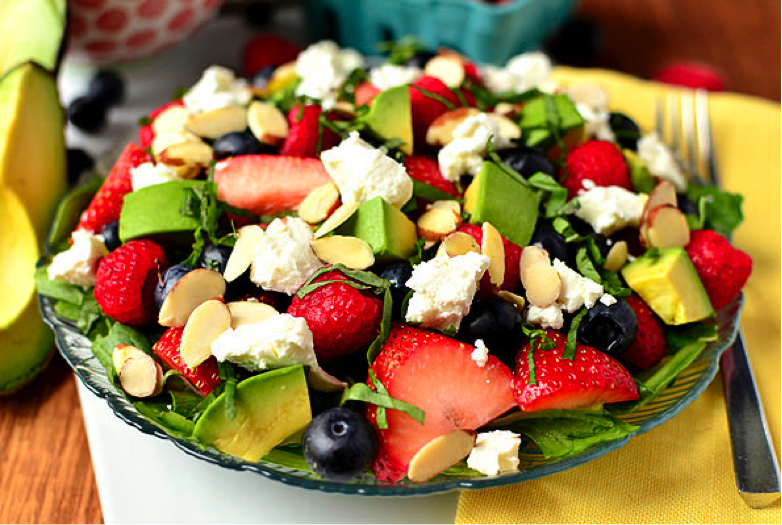 · Make the traditional tossed salad and sprinkle with toasted nuts or cold shredded chicken or cheese chunks and serve with your favorite dressing. · Using whole grain tortillas, make salad wraps and serve with a dollop of guacamole and sour cream. · Or forgo the whole grain tortillas and wrap your salad in large romaine lettuce leaves and serve that with a dollop of guacamole and sour cream. · Add a little canned tuna to the salad and stuff large beefsteak tomatoes with this protein loaded salad. 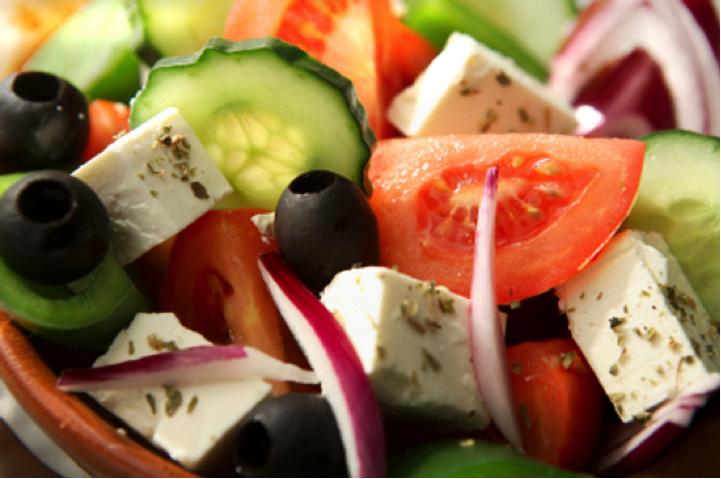 · Fill whole grain pitas with your salad and drizzle a little extra virgin olive oil over the filling. · Create a salad stack: on a dinner plate place a thin layer of refried beans, a little shredded cheese, and top with your salad and a dollop of sour cream. · Or forgo the salad idea and just serve up veggie sticks and a couple of dip choices-one sour cream based and the other bean-based. Include some whole grain chips or crackers and call it good. · Grind 3 or 4 tablespoons of fresh mint into ¼ cup of sugar and sprinkle this over a bowl of cut fresh fruit. Fold the minted sugar in and allow the salad to infuse the flavors in the fridge for about an hour or two. This is filling and so satisfying. · Mix fresh fruit together and serve in flat-bottomed ice cream cones along with iced cucumber water and fresh blueberry muffins. · Chop a fresh fruit mixture and serve atop waffles or crumbled leftover muffins. 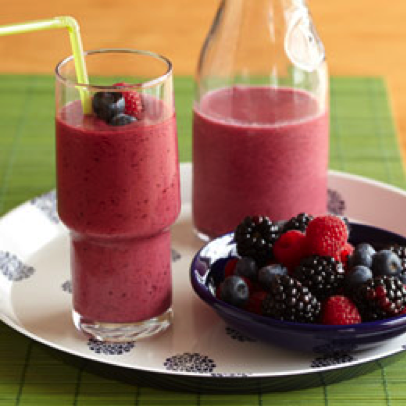 · Mix plain Greek yogurt with fresh fruit, fruit juice concentrate, and a few ice cubes. This is filling and healthy. · Or try a variation on this yogurt smoothie by adding a handful of raw nuts and some chia seed for an extra protein and health boost. · Then there's the cold fresh homemade veggie smoothie-your own version of a V8®. In a blender add tomato chunks, a cut up rib of celery, a cut up green onion, some fresh carrot chunks, a little dill (fresh if you have it), maybe a dash of garlic powder and some ice and water. We even add plain Greek yogurt to this. It's absolutely satiating and delicious! I hope these ideas have sparked your imagination and will help you get through these dog days of summer. Lazy day meals-that's what we need more of right now! Famous People Worthy of being Eaten!